BRYAN EATON/Staff photo. 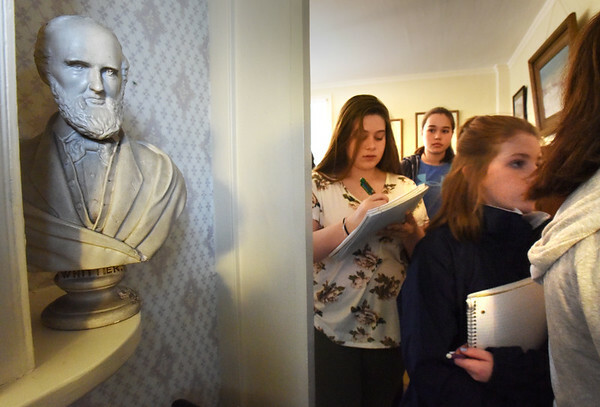 The people who run the John Greenleaf Whittier Home in Amesbury invited students from the River Valley Charter School to visit the site and learn about the famous poet. They had followed the students' attempt to the get the second span of the Whittier Bridge on Interstate 95 named after William Lloyd Garrison, a contemporary and friend of Whittier.